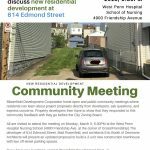 All are invited to attend the meeting on Wednesday, April 4, 6:30PM at the West Penn Hospital Nursing School (4900 Friendship Ave. at the corner of Gross/Friendship). 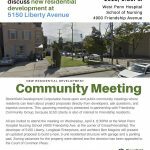 This upcoming meeting is presented in partnership with Friendship Community Group, because 5150 Liberty is also of interest to Friendship residents. 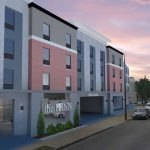 The developer of 5150 Liberty, Longboat Enterprises, and architect Ben Maguire will present an updated proposal to build a new, 3-unit residential structure with garage and a parking pad.